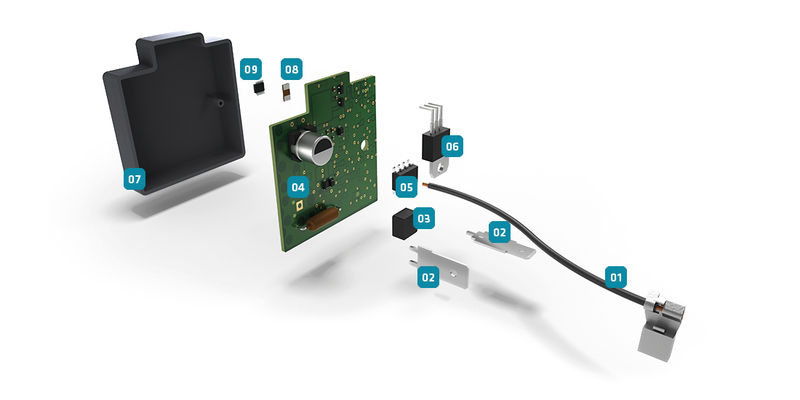 There is a greater freedom in the implementation of special functions in the sequence of electric motor control, thanks to the integrated microcontroller and motor current detection. The PX ESW motor controller can be flexibly adapted to your requirements in terms of both design and special software functions - no matter whether it is a 120V or 230V version. The PX ESW controller provides the necessary functional modules for the desired functions, such as electronic speed and torque control, overload protection, electronic soft start and switchable pulse operation. An AC/DC converter provides power to a standard microcontroller, eliminating the need for ASICs. A current-sense resistor also measures and monitors the power supply to the motor or the drive. At the same time, the PX design is specially designed for a fully automated production process. The aluminium housing saves the use of an additional heat sink. This compact design reduces its weight and use of resources. PX ESW drives your electric motor to peak performance. In order to be able to download our files, we ask you for a one-time registration. You will then have access to all the information. Our consultation and development approach for market-relevant optimisations.